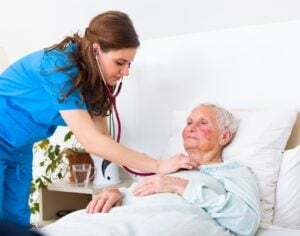 What Is a Cardiac Care Nurse? Cardiac care nurses treat and care for patients with a variety of heart diseases or conditions. This can include patients suffering from coronary artery disease or congestive heart failure, or those recovering from angioplasty or bypass surgery. Cardiac care nurses monitor the hearts of patients of all ages, and may help administer heart medications and perform stress test evaluations on a regular basis, or take care of more urgent heart issues, such as assisting in defibrillation. This type of nurse works closely with a cardiologist to expedite quality care for heart patients. RNs who want to go into cardiac care nursing must first gain some hands-on experience. Nurses with a clinical care background are well poised to enter cardiac care, as they typically have experience handling acute injuries and illnesses. A medical-surgical or OR background is also helpful, as many cardiac care nurses look after patients who have just gone through heart surgery. Communication skills are also a big part of the cardiac care nurse's job, as situations can be urgent and miscommunication between the patient and the care team could cause major problems. What Are the Education Requirements for Cardiac Care Nurses? The minimum education requirement to become a cardiac care nurse is an ADN, although many hospitals prefer at least a BSN. Nurses must also take and pass the NCLEX-RN and hold an active license. To advance as a cardiac care nurse, an MSN should be pursued. RNs interested in being long-term cardiac care nurses should also gain experience so that they can become certified. There are a few certifications that cardiac care nurses can receive. The first is an RN-BC via the Cardiac-Vascular Nursing Certification. To be eligible for this certification, an RN must have practiced nursing full-time for at least 2 years, have a minimum of 2,000 hours of clinical practice in cardiac-vascular nursing within the last 3 years, and have completed 30 hours of continuing education in cardiac-vascular nursing within the last 3 years. Most hospitals also want their hires to be certified in Basic Life Support and Advanced Cardiac Life Support as well. Where Do Cardiac Care Nurses Work? Most often, cardiac care nurses work in hospitals taking care of cardiac patients in post-op or ICU environments. They can also work in cardiovascular centers, private clinics, or home health agencies. Nursing homes, correctional facilities, schools, and the military are other places where cardiac care nurses may find employment. What Does a Cardiac Nurse Do? Cardiac care nurses provide ongoing care to help patients manage heart conditions, such as administering medication and performing health assessments, as well as providing post-op care to patients who are recovering from heart surgeries. They perform stress test evaluations, monitor heart activity and electrocardiograms, and insert IV drips. Pain management post-surgery is a big part of their job, as well as helping patients manage discomfort from heart issues. What Are the Roles and Duties of a Cardiac Care Nurse? Cardiac care nurses can earn between $46,404 and $106,393 annually. The median salary for a cardiac care nurse is $66,466 per year. This salary fluctuates based on location, place of employment, and the RN's experience level. Advanced cardiac care nurses who hold an MSN can expect to earn at the top of the pay range. With many Americans suffering from heart conditions, and with heart disease being one of the leading causes of death in the country, cardiac care nurses are in demand. Employment in this specialty is projected to grow steadily, making it a stable career path for RNs.